Meet two guys who are making the Lehigh Valley a hotspot for one of the trendiest beverages around: kombucha! If you had told me five years ago that I’d soon be hooked on a fizzy drink made by fermenting tea in a jar with a little bit of sugar and a large, gelatinous blob of bacteria and yeast…well, I probably would have laughed, cracked open a can of Diet Pepsi, and asked for another joke. Because, honestly, that sounds pretty damn disgusting. Fast forward to present day and kombucha—that funky, fermented tea—is now a multi-million dollar industry (an estimated 51% of U.S. adults between ages 25 and 34 drink it, according to a report by the market research company Mintel), and I’m personally guzzling it down by the growler on a weekly basis. But why? 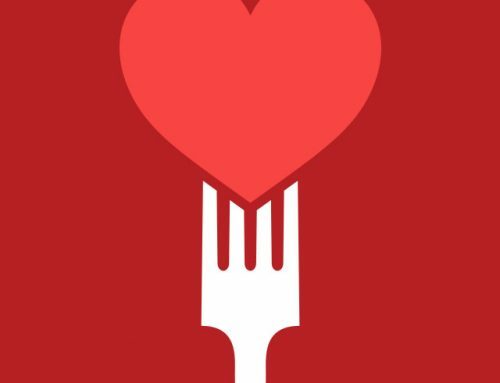 For one, it’s delicious. Sure, some people may find kombucha to be an acquired taste because they haven’t experienced anything like it before; but over time, that bubbly, tangy sweetness becomes almost addictive. And, at least for me, it seems to quell the urge to reach for sugar-laden drinks like soda, and even alcohol. The real selling point, though, is the health perks, most of which are a result of the fermentation process. 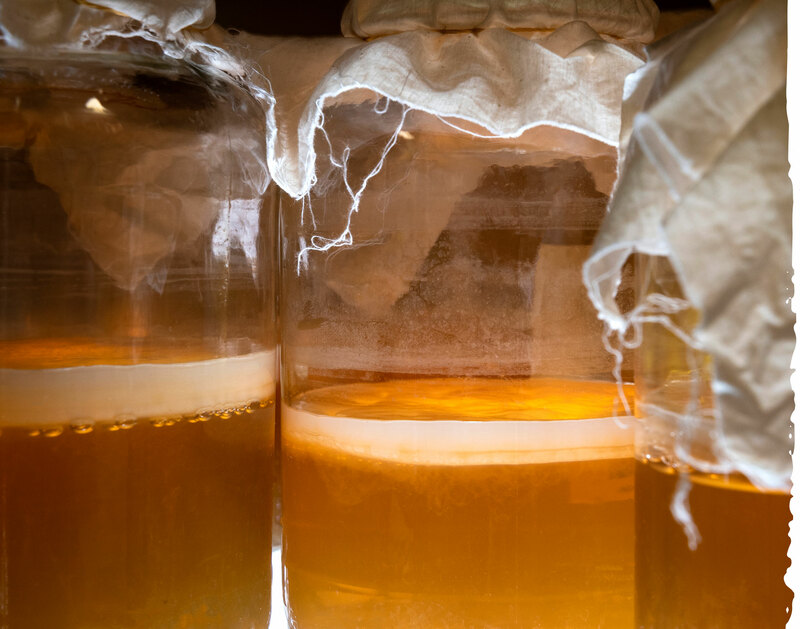 When kombucha is made, a SCOBY (symbiotic colony of bacteria and yeast) is added to sweetened tea, and a few interesting things start to happen: First, the yeast begins to digest the sugar in the tea, which produces carbon dioxide and a very small amount of alcohol. 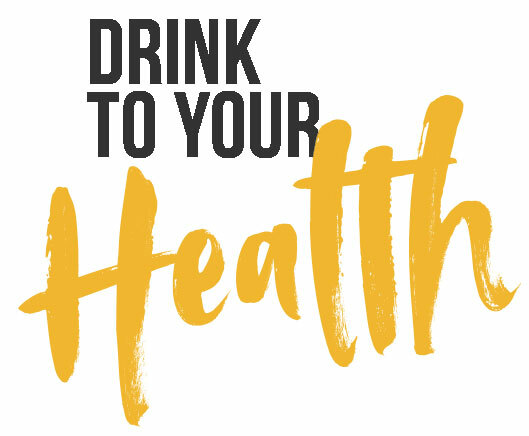 Then, the bacteria consume most of the alcohol and produce a number of beneficial compounds as a result such as amino acids, vitamins, minerals, and probiotics. Pretty cool, right? 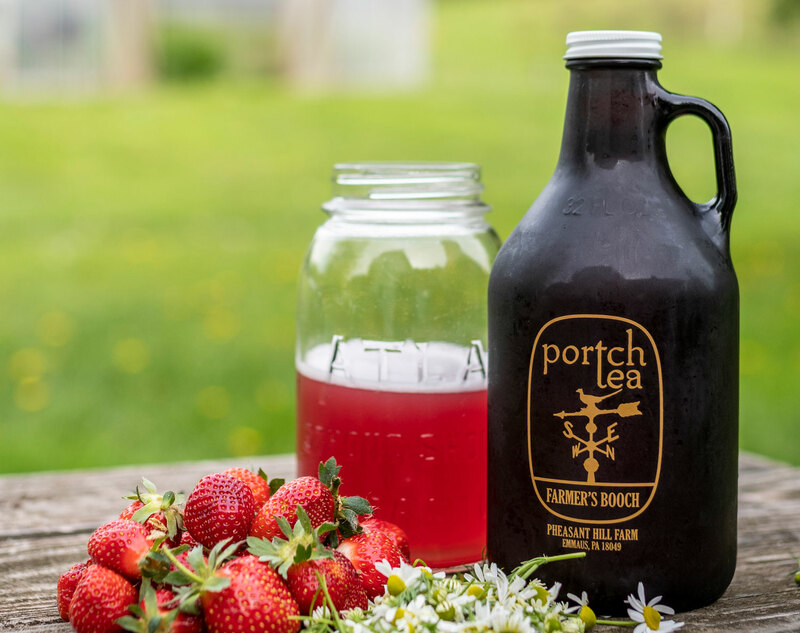 What’s even cooler is that some of the best kombucha is made right here in the Lehigh Valley by two local guys with a passion for quality, organic ingredients. 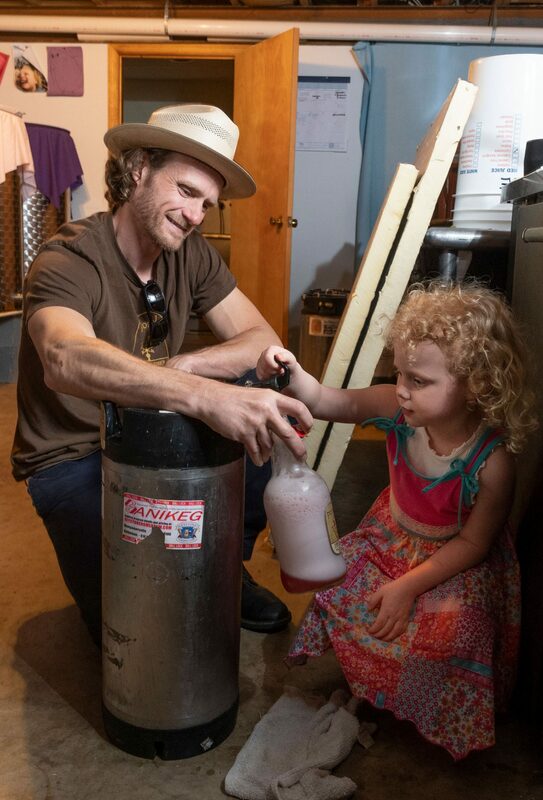 Both run their own small-but-thriving kombucha brewing businesses. If you haven’t met them yet, let us happily be the first to introduce you. To Don DeVault, founder of Emmaus-based Portch Tea, there are few greater joys than handpicking chamomile on a hot day and breathing in its intoxicating scent. Lucky for him, he gets to do it pretty often. Every summer, vast swaths of this flowering herb take over the fields of his family’s farm, while blueberry bushes bear their sweet fruits, and greenhouses brim with herbs like lemon balm, sage, tulsi, and lemongrass. Lucky for us, all of these magnificently flavorful and aromatic ingredients make their way into his truly one-of-a-kind kombucha. DeVault never planned to start a kombucha company, though. In fact, when a “weird hippie couple” gave him his first bottle to try when he was living in Chile in 2009, he didn’t think much of it. Which is kind of comical, considering he now produces 250 gallons of the stuff every week. His original plan was to grow herbs, dry them, and sell them as medicinal teas. But that market, already steeped in competition (pun very much intended), was hard to make a living in—and hot water, it turns out, doesn’t carry the flavor of herbs as well as you’d think. In late 2016, after mastering his formula—a base of organic black tea, yerba mate, and cane sugar, into which he adds herbs and fruits in a secondary fermentation process—DeVault started selling kombucha at the Easton Farmers’ Market. Things took off from there. Now he sells at four farmers’ markets and has kegs on tap at over a dozen restaurants and stores from the Lehigh Valley to Philadelphia. It’s the fact that he sells via kegs that has allowed him to infiltrate bars, like Easton’s Separatist Beer Project, which find themselves catering to an ever growing population of health-conscious consumers who occasionally want something alcohol-free to sip on while they socialize. While DeVault spends plenty of time outside farming (without using a single chemical, in case you were wondering), the real magic happens in the farmhouse basement, which is filled with tall stainless steel fermenters, large glass jars, kegs, and countless containers of his dried herbs. 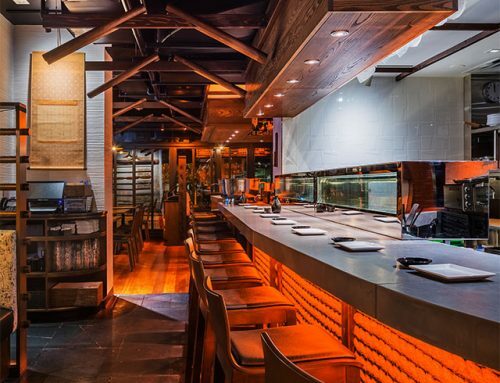 It’s dark and crowded, but orderly, with a chemistry lab-meets-apothecary vibe. Eventually, the plan is to put up a building on his family’s property, which would be part living, part brewing, part retail space. But for now, this setup works just fine. DeVault readily admits that none of his success would be possible without his family. 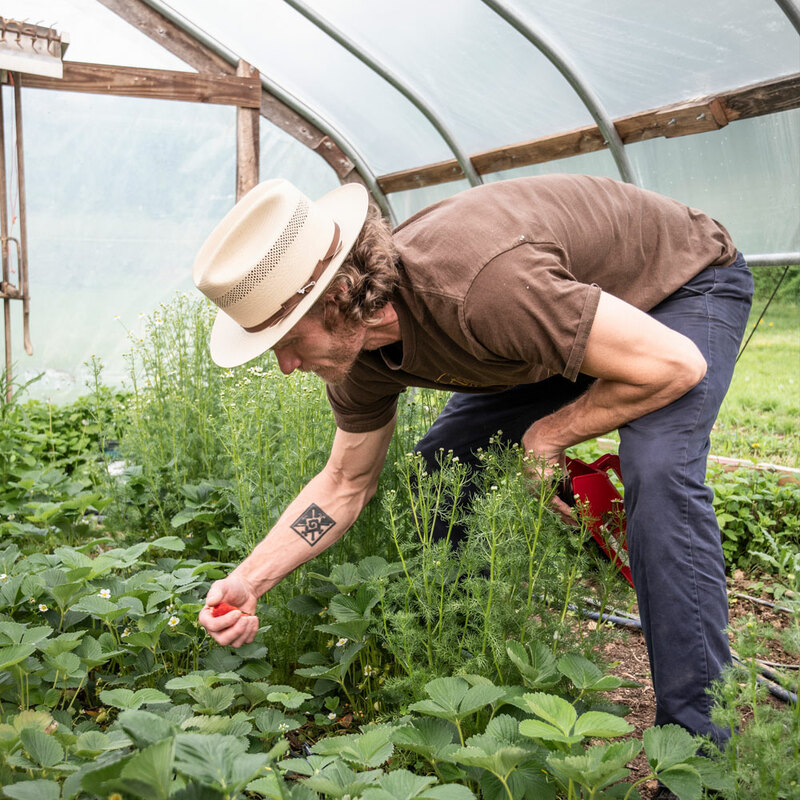 The Emmaus-based Pheasant Hill Farm where he grows his herbs was purchased by his parents, George and Melanie, in 1984, where they originally grew vegetables for a small CSA—and they’re the ones you’ll see filling growlers and cups of kombucha at the Easton Farmers’ Market every Saturday. Today, they all live and work on the farm together, along with Don’s 4-year-old daughter Lucía, who’s always eager to help pick berries, taste test, or toss a few beets into a batch of booch. Subsequently, historical accounts suggest that kombucha was consumed in Eastern Europe, Russia, and Japan for several centuries. In Japan, Samurai warriors were said to carry it in their wineskins because it gave them energy in battle. Kombucha consumption then spread to places like Germany and Denmark, but largely died out during WWII, when sugar and tea were rationed. After the war, a German researcher created renewed interest in kombucha when he used it to help treat some of his patients with cancer, diabetes, and high blood pressure. From there, interest waxed and waned until the early 2000s, when GT’s Kombucha entered the scene and became the first commercially available kombucha to hit the market. But it wasn’t until 2010, when GT’s increased its distribution nationwide, that this fizzy fermented tea was set on a course to become one of the trendiest beverages of the 21st Century. 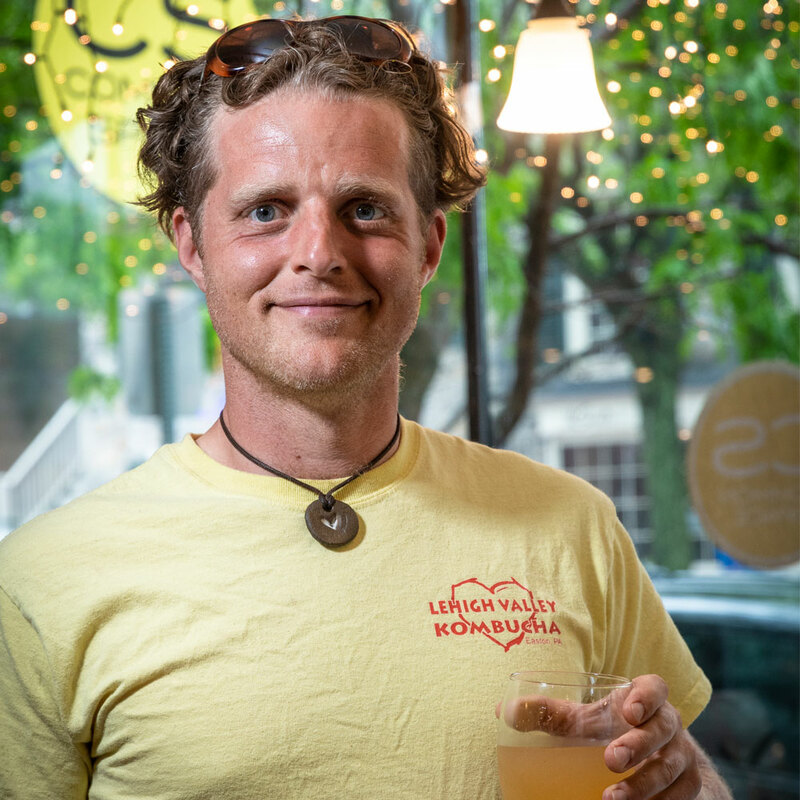 “If kombucha were alcohol, I’d definitely be an alcoholic,” says Gary Warren, founder of Lehigh Valley Kombucha, which is based out of Common Space, a commercial kitchen in Easton that he shares with bakers, caterers, and food truck vendors. In fact, multiple times throughout our conversation he refills his glass of apple-turmeric kombucha (his newest flavor), looking happier with every sip. 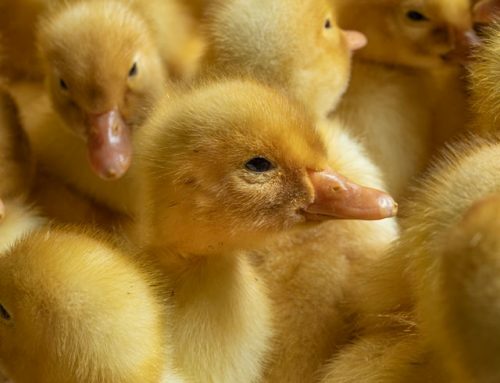 The first time Warren realized that his hobby could be a legitimate source of income was when he brought 10 gallons of kombucha to Bethlehem’s first VegFest in 2011 and quickly sold out. The next year, he brought 30 gallons, and that went just as quickly. Fast forward to present day, and his vision of a thriving kombucha business has taken shape. He brews up to 90 gallons a week, which he sells in two sizes—wine bottle and a gallon jug—at five different farmers’ markets throughout the Lehigh Valley. “Most people who love kombucha want to drink some every day, and selling it by the gallon allows people to do that without paying high retail prices for individual bottles,” he explains. 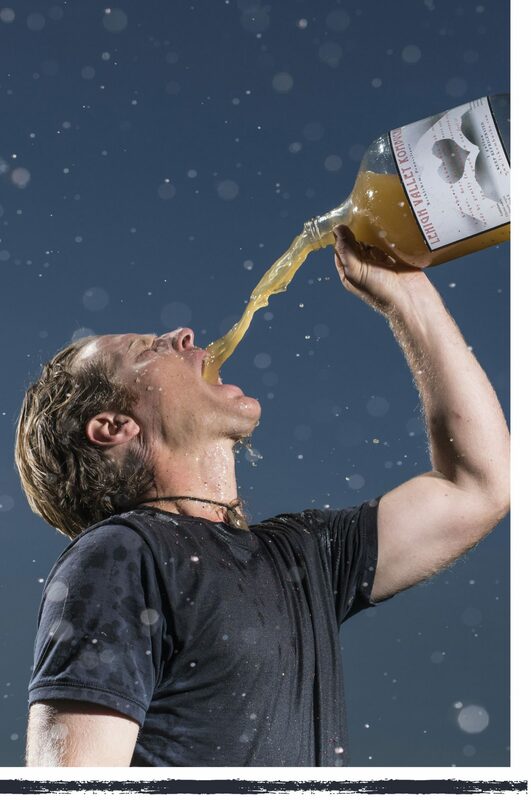 After tasting Warren’s kombucha, it’s easy to see why he’s successful. 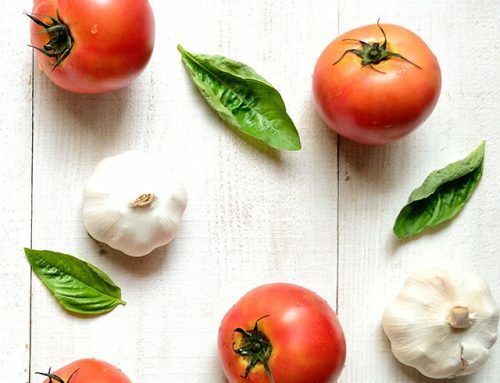 It’s fresh, flavorful, just sweet enough, and not nearly as vinegary as many of the varieties you’ll find lining grocery store shelves. 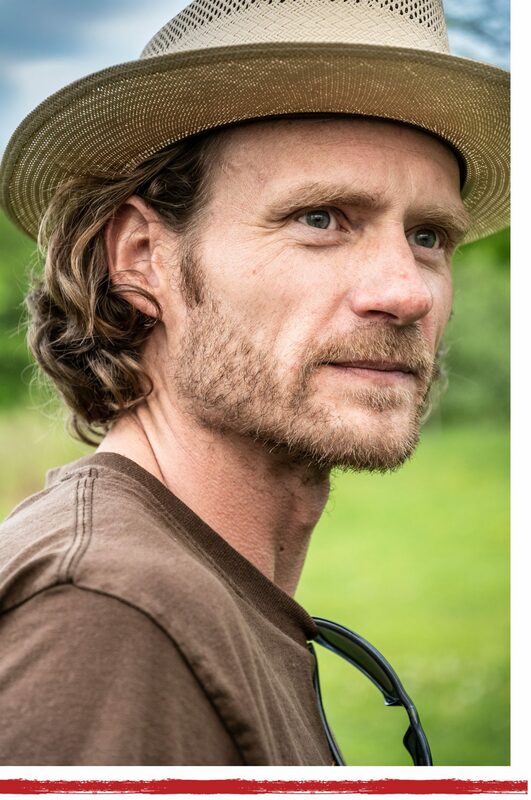 He uses organic black tea, green tea, and cane sugar to brew his plain kombucha base, then adds purees of local, organic fruits to create each of his nine flavors: pineapple-ginger, strawberry-rhubarb, mango, blackberry, grapefruit, hot pepper-lime, apple-turmeric, cranberry, and peach. But it’s not just quality and freshness that sets Warren apart. It’s his commitment to getting kombucha into the hands of everyone who wants it. In addition to selling at farmers’ markets, he will deliver kombucha right to your door. He takes orders via Lehigh Valley Kombucha’s Facebook page, and for customers who don’t have Facebook, he sends out about a hundred individual texts listing the current week’s flavors. 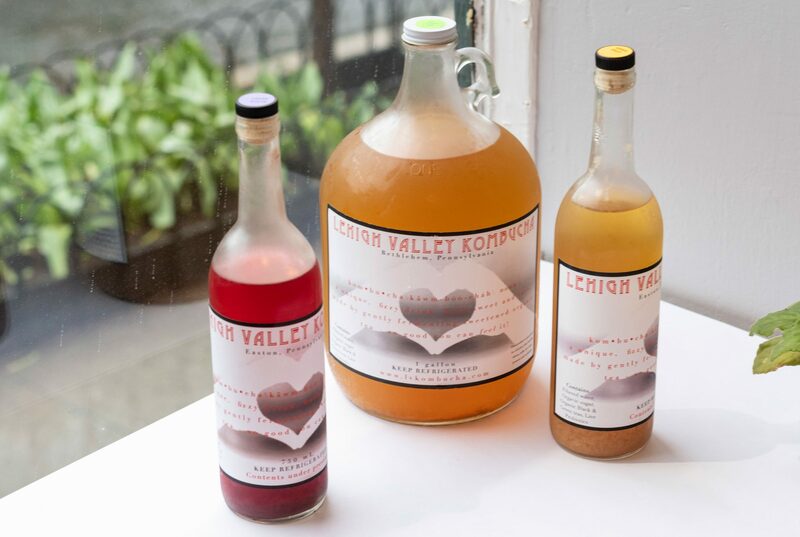 Thursdays 11 a.m. – 3 p.m.
Every week, Gary posts available flavors on Facebook.com/LehighValleyKombucha. Comment with your order, then pick it up on Sundays between 11 a.m. and 1 p.m. at Common Space. Want it delivered? For a $5 fee, Gary can do that. There are also bottles available in Common Space’s refrigerator case throughout the week. Everyone’s in agreement: Kombucha makes one of the tastiest, healthiest cocktail mixers. In fact, Black & Blue in Easton and Edge in Bethlehem currently have margaritas on their menu featuring Gary’s Hot Pepper-Lime kombucha. Here, Gary and Don share a few of their favorite booch and booze combos. For each, combine a shot’s worth of liquor and 6 to 8 ounces of kombucha. This spicy kombucha pairs perfectly with tequila for a healthier take on a margarita. Craving a whiskey sour? Steer clear of sugary mixers. This combo has all the tangy sweetness you need. One taste and you’ll be sipping this refreshing combo all summer. Neutral tasting vodka can be paired with any flavor, but this combo is reminiscent of a lemon drop martini. If autumn were a cocktail, this would be it. Any of Portch Tea’s herbal and floral flavors pair well with gin’s botanical notes.